Over the last few months, its been a lot of rumors flying that Kanye West & Kim Kardashian are thinking about having a new edition. Well, this past weekend, the two celebrities finally put all speculation to rest. They shared with the world that they are having a baby. Check out Kim's confirmation below... you can tell she's so excited. Last night (December 29), R&B singer Tamar Braxton stopped in the City of Wind to heat up a cold winter night. The event took place in Chicago's South Suburbs at Billboard Live and the night was filled with full of excitement. Throughout the event, the Reality star received nothing but love, from the minute she stepped in the door with her husband (Vince Herbert). She took time to interact and take pics with all her fans and she even sung her latest track "Love & War," before leaving the building. We all should know, by now, when you enter a Kanye West concert, expect to see something different and unique. Last night, the rapper caught the attention of everybody, when he performed in front of a sold out crowd, wearing a mask. The event took place at Revel Hotel in Atlantic City and it has everybody asking questions. Some people are saying its just average Kanye being himself while others think it maybe a tease to a Cruel Winter project. [New Music] Nicholaus Kane "Hatin' On"
Coming out with that laid back bump for your trunk, Rapper Nicholaus Kane brings you his new single called "Hatin' On." 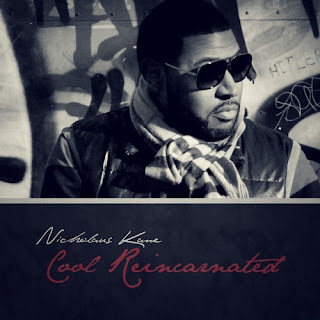 The track is produced by Tony Baines and its taken from his upcoming EP "Cool Reincarnated." 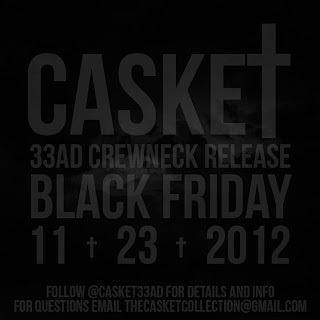 If you haven't heard, you better ask somebody! J.R. Bang is on the rise and he's ready to put Chicago artists on the map! For those who don't know, J.R. is the host of the "J.R. Bang Morning Show," based on an internet radio station called Windy City Underground, and he plays some of the dopest music in Hip Hop and R&B. 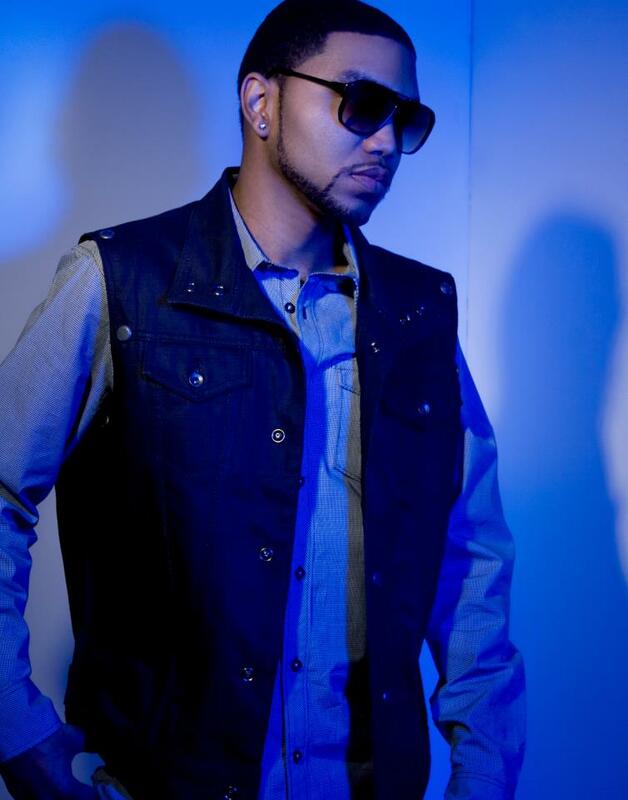 Come 2013, J.R. plans to work even harder and one of the things he plans to do is introduce the world to a new Chicago rapper by the name of Kokki, along with many other talents. For more information on J.R. updates, follow him on Twitter at @JRBang to get the scoop and don't forget to check out his show on Windy City Underground. Right before X-mas break, Chicago's DJ Que Eleven stopped by the Lorenzo Ice Show to talk about his new EP Aliens. During the interview, Que also talks about how he got involved with the new movement "Dub-step music" as well. Check out the interview and make sure to cop Aliens on iTunes, today. Dressed in an all black tux with dark shades, Super promoter Donski celebrated his birthday in style last night in the City of Wind. 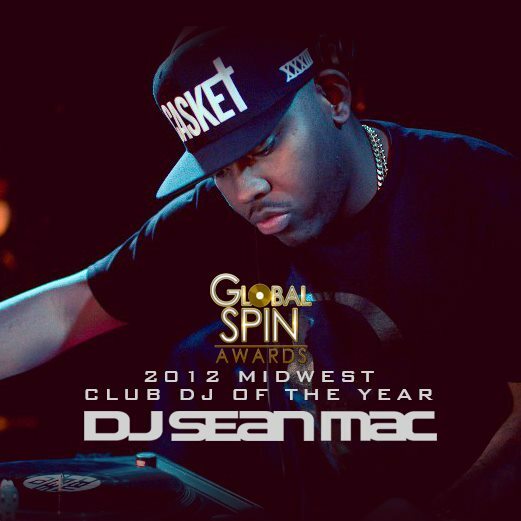 The event took place in the City's South Loop with DJ Sean Mac rocking the one's and two's. The event was also packed with some of Chicago's most elite players, along with local favorites like R&B singer J-Lyn, DJ Sho-time, Nard of Do or Die, Nusense of Psychodrama, and new R&B singer Pierre. On last night (December 26), Music veteran Kevin Shine stopped in his hometown (Chicago) to talk with inspiring songwriters & producers about the music business. The event took place in the City's West Loop and it was very educational. 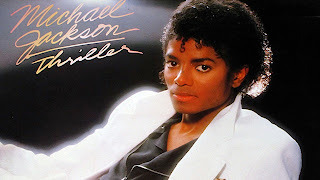 In the video below, Shines also speaks on his days working under Wayne Williams for Grammy Award Winner R Kelly. He even talks about his new role and position at Arrow Records. Check it out after the jump! This past Christmas Eve, Rapper Trinidad James, best known for "All Gold Everything," stopped in the City of Wind for an amazing performance. The event took place at Adrianna's in Chicago's South Surburbs. Check it out! Lucci Vee feat. 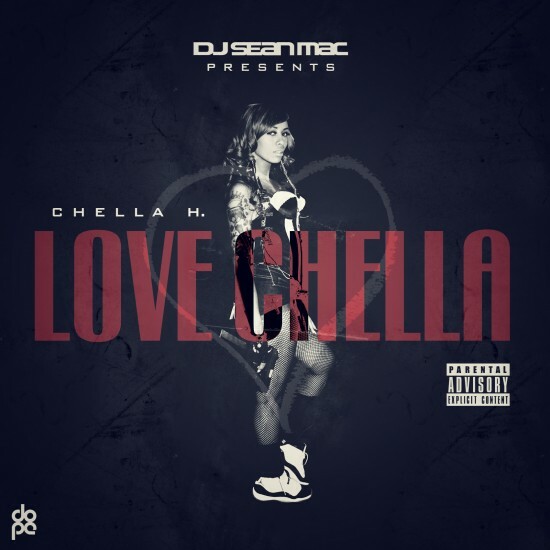 Chella H "King of Diamonds (Remix)"
Premiered by the Kid Sean Mac, here's something new & hot for the clubs. 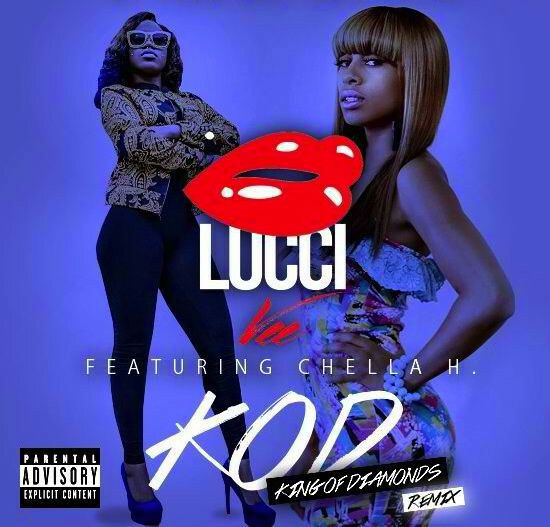 Its your girl Lucci Vee with the official remix to "King of Diamonds." It features Chicago's own Chella H aka Jennifer Low End. Check it out! This past weekend, Chicago's own L.E.P. 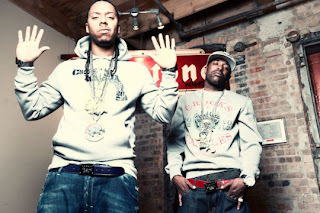 Bogus Boys made major noise when Billboard reported that they may have joined Gee Roberson's new imprint on Interscope Records called Blueprint; however, we didn't have any confirmation - until now. "We appreciate any and everyone that's ever listened to our music, watched our videos and supported our cause. We're here to open the door for Chicago music and show you what it's really about, so we can change the misrepresentation of our city and how we're portrayed to the world. There's a wealth of positives and potential in our city and region. Everybody knows L.E.P. and Infared Music Group has been carrying the torch and we will continue to brand and grow right here in Chicago. Special shouts outs to all the youngins doing it, and a very special shout out to the most promising artist Spenzo (@AintUSpenzo). 2013 it's all of ours." 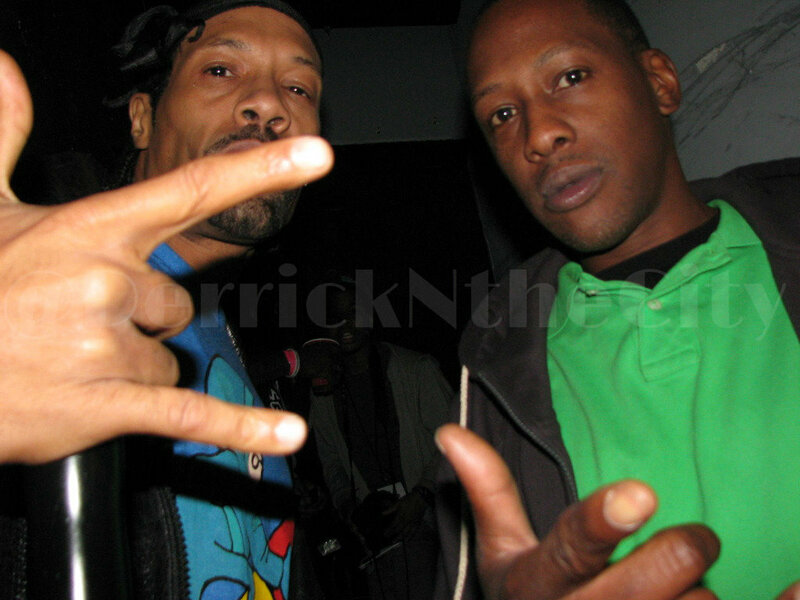 Chicago's L.E.P. Bogus Boys Sign To Interscope? Did L.E.P. Bogus Boys land a major record deal? According to an earlier report, the boys from Chicago are expected to join Gee Roberson at his new label distributed by Interscope Records called Blueprint. Also, expected to sign to the New York-based label is rapper/producer Hit Boy. Click here for more details on this article. 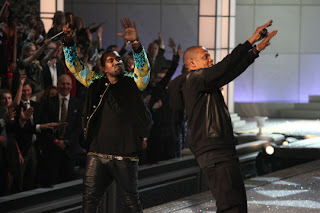 Kanye & Jay Z Hits Triple Platinum & Gold W/ "The Throne"
Throw up the diamonds! Jay and Ye strikes again! According to HHnM, their songs "N***as In Paris," from their album Watch The Throne, has just reached triple platinum in digital sales, along with "No Church In The Wild" passing gold. [Photo] Rapper Yung L.A. Stops In Chicago For "COLLABO"
Last night (December 18), Rapper Yung L.A. (best known for his song "Ain't I" featuring T.I.) stopped in Chicago last night for this year's Collabo Music Industry Holiday Mixer. The event was held at Grand Bar & it was hosted by Mary Datcher. We caught up with the rapper, from Atlanta, and he mentioned to us he's in town for Trinidad James show as well and its taking place on Christmas Eve at Adrianna's; but, he didn't say if he would be performing. I guess we will have to wait and see. Last night, in the City of Wind, R&B singer Pierre made a special appearance at this year's "Collabo Music Industry Holiday Mixer." The event was held at Grand Bar and it was put together by Music veteran Mary Datcher. All night long, Collabo was filled with live performances, along with a big toy drive donation for kids. 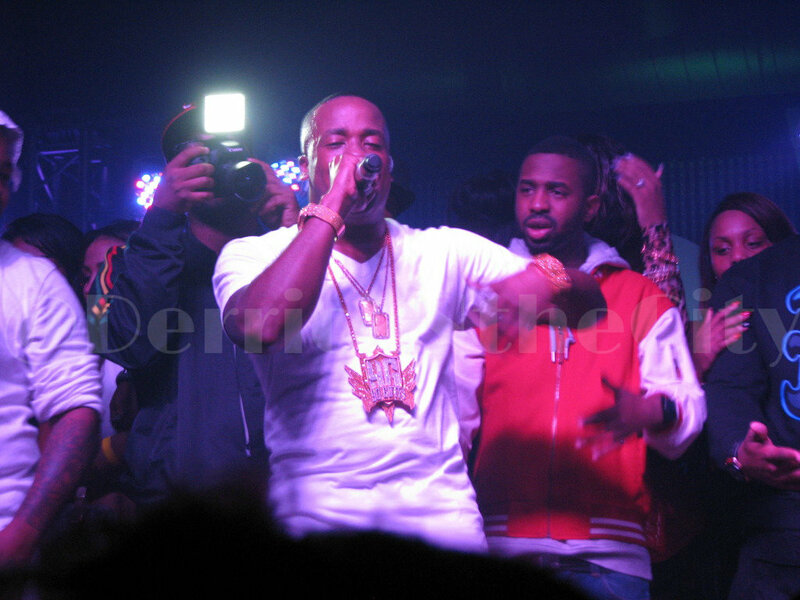 The event also had a lot of special guests in the building as well, including Chicago icon George Daniels, Delle Del, and Rapper Yung L.A. from Atlanta. [Video] Kevin Shine Talks Music In "Writing Sessions of America"
In this latest video called "Writing Sessions of America," Music veteran Kevin Shine shares some real game for inspiring songwriters and producers. The video is produced and directed by Naye Songz and its a must see. For those of you who stay in the Chicagoland area, Shine is scheduled to showcase an upcoming event for songwriters and producers on December 26th at Red Kiva. For more details, follow @Kevin_AnR_Shine on Twitter. 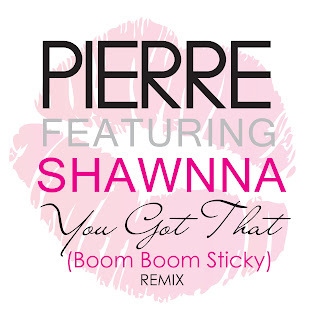 Last night (December 17), R&B singer Pierre turned his game up, when he performed his new single "You Got That (Boom Boom Sticky)" in the City of Chi. The event took place at a local night spot called Red Kiva and it was hosted by J-Lyn. Tonight, Pierre is scheduled to perform at Grand Bar in Chicago for the COLLABO Music Industry Holiday Mixer put on by Mary Datcher. For more details on this event, follow @GlobalMixx on Twitter. See you there. Its here! 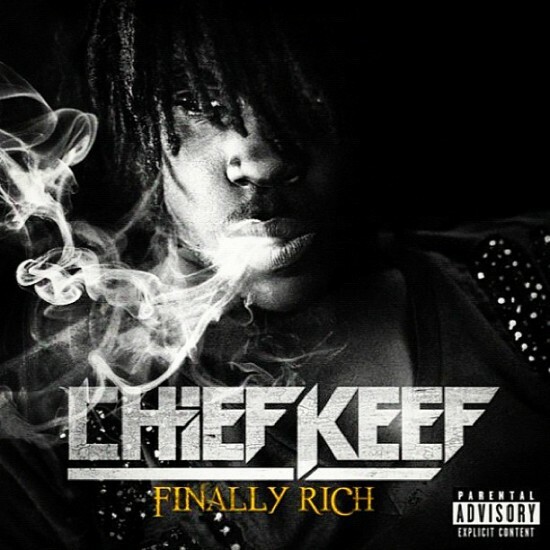 Chi-town own Chief Keef officially drops his debut album Finally Rich on Interscope Records. The project is available on iTunes now. Check out one of the track below featuring Rick Ross called "3 Hunna." 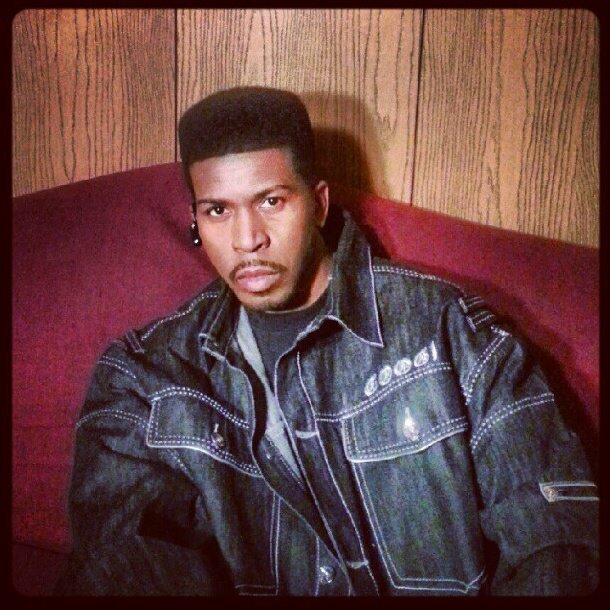 [New Video] Bo Deal "If Tomorrow Never Comes"
Rapper Bo Deal gets deep on this one. In this visual, the rapper gets some things off his chest as he expresses his mind in "If Tomorrow Never Comes." The video is shot and directed by Alvin Elmore for Dark Mirror Films. Church on the move! 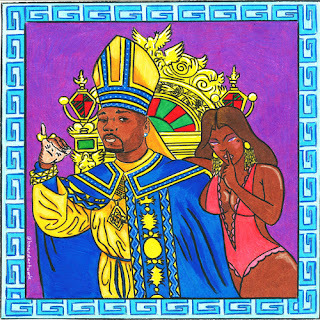 Its Chicago's own GLC with his latest mixtape Silence Of The Lames. It features production from Xcel, Mr. E, and more. Check out the tracks after the jump and download it right here. Last night, in the City of Wind, Diesel Beats presented DJ Que Eleven official release party for his new EP Aliens. The event took place at Tiger O'Stylies and it was hosted by J.R. Bang, along with DJ Epidemic on the one's and two's. 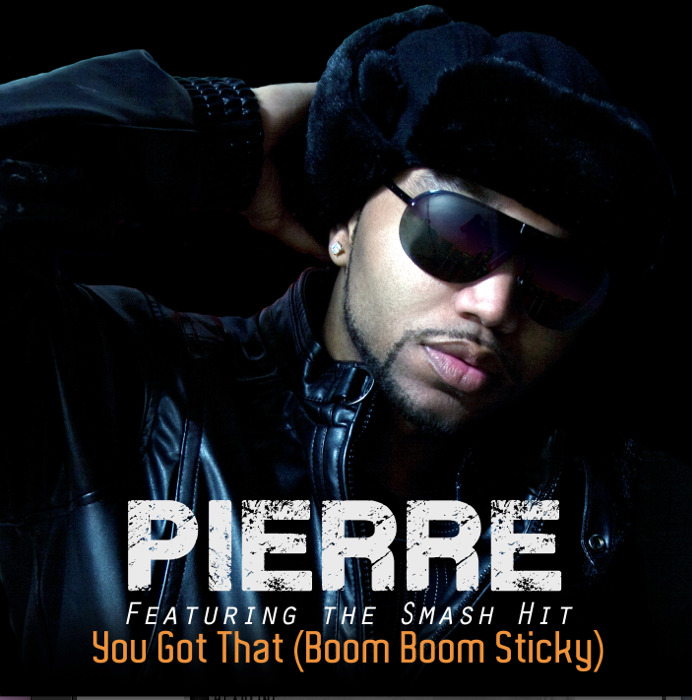 Over the last two months, R&B singer Pierre has sparked a lot of noise with his debut single "You Got That (Boom Boom Sticky)." 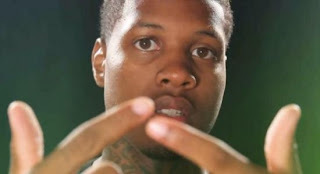 In November, the artist gained national attention, when he dropped his video on World Star Hip Hop, reaching close to 100k views. 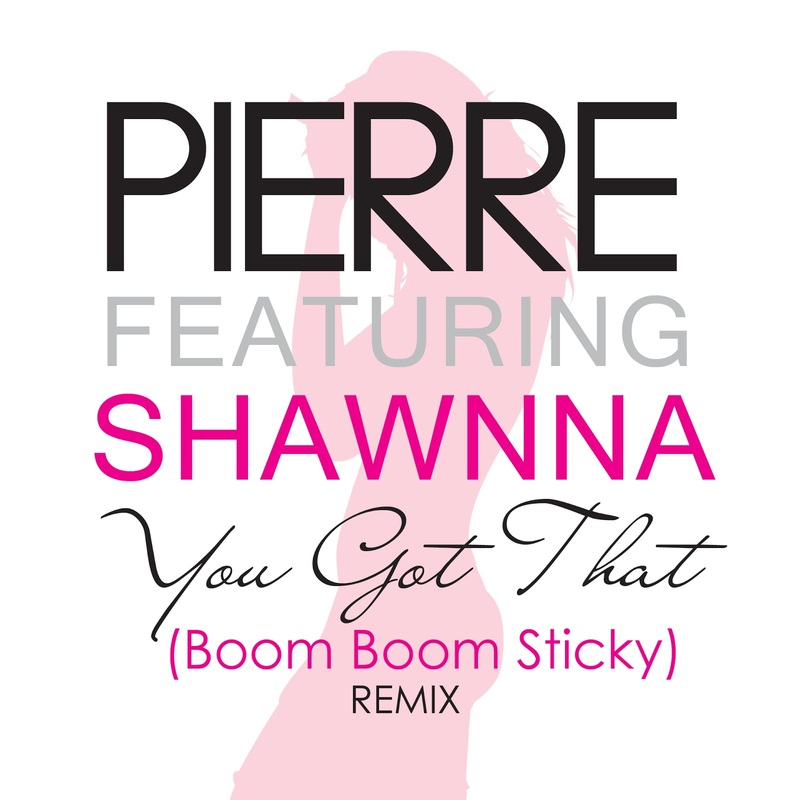 Earlier December, Pierre went even harder, when he reached out to Rapper Shawnna and Legendary producer Soundmaster T for the remix. Now, its getting close to New Years and we understand the artist has another trick up his sleeve. He mentioned to us he's ready to remix the video as well and he confirms Alvin Elmore will be the directed. Coming straight from Chicago! 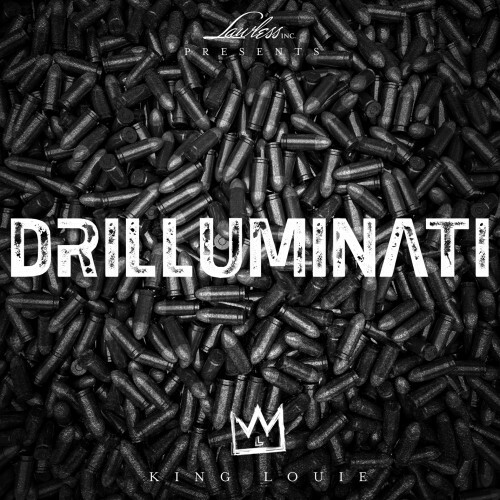 Lawless Inc. presents King Louie latest mixtape Drilluminati featuring production from Chicago's own Young Chop, Shawty Redd, and more. Check the tracks below and stay on the lookout for the album! 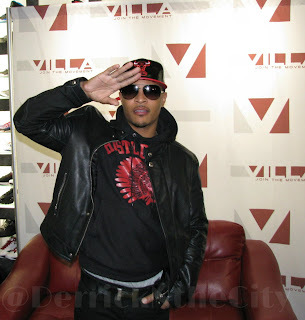 On yesterday (December 10), Rapper T.I. made his way to the City of Chi for a major campaign to promotes his upcoming project Trouble Man. The event took place at Villa (a store on the City's South Side) and the house was packed with a room full of loyal fans. [New Video] Chella H "Love Chella"
She's back! Its your girl Chella H with her twist to Chief Keef's song "Love Sosa." She calls this visual "Love Chella" & its directed by Shank Robinson. 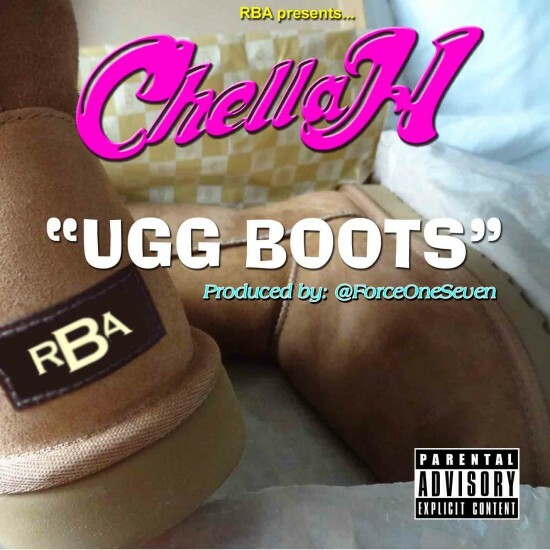 Also, don't forget to cop the re-release of Chella's latest mixtape The Morning After Pill. Dressed in all black with bright gold chains, Rapper Young Jeezy stopped in the City of Wind last night for a house rocking performance! 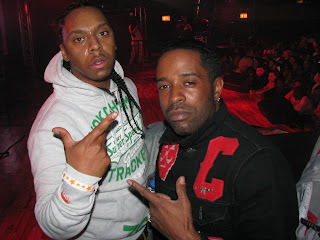 The event took place at the Congress Theater on Chicago's North Side and the whole night was turnt up! From start to finish, Jeezy delivered! He gave the crowd exactly what they wanted - the hits. Check out the performance right here on our blog. Also, don't forget Jeezy's new mixtape Its Tha World drops this Wednesday on 12/12/12. On last night (December 7), R&B singer Chrisette Michele stopped in Chicago for the official release of her latest mixtape Audrey Hepburn, along with celebrating her birthday. The event took place at The Shrine and the night was filled with fun and excitement. Here it is! 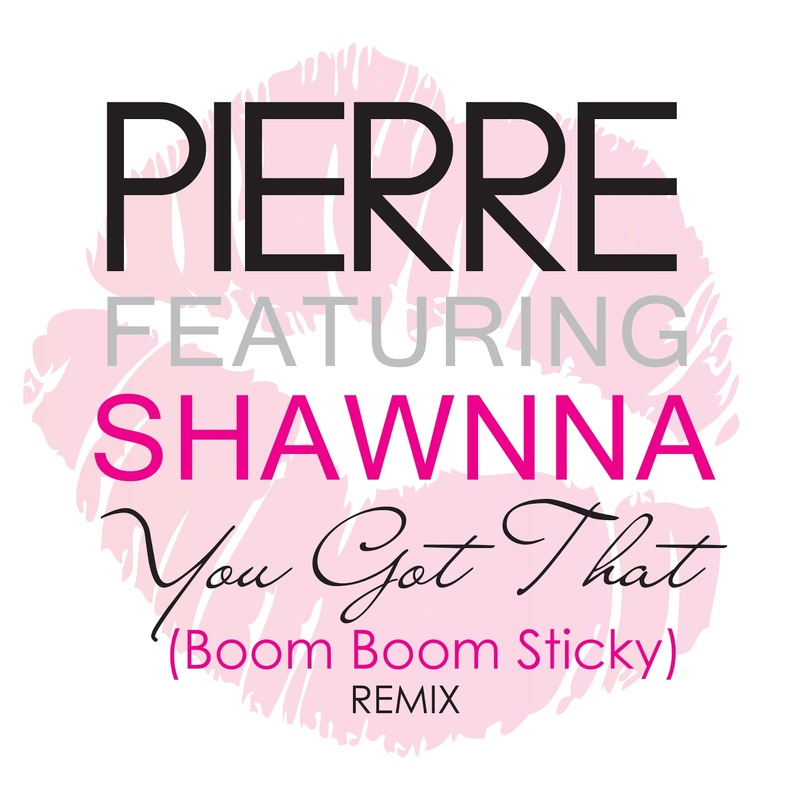 Its the official remix to Pierre's "You Got That (Boom Boom Sticky)!" It features Chi-town own Shawnna, along with Legendary producer Soundmaster T on the track! Catch the video on World Star Hip Hop in 2013! Also, don't forget to check out Pierre's exclusive interview with the J.R. Bang Morning Show. Click here to listen. Lookout music lovers! The 55th Grammy Awards are coming up and the City of Chicago seem to have a lot of hometown favorites on the ballot. During yesterday's nomination ceremony, names like Lupe Fiasco, Da Internz, and Producers No I.D. were mentioned in the hip hop category, along Kanye West being announced with six nominations. 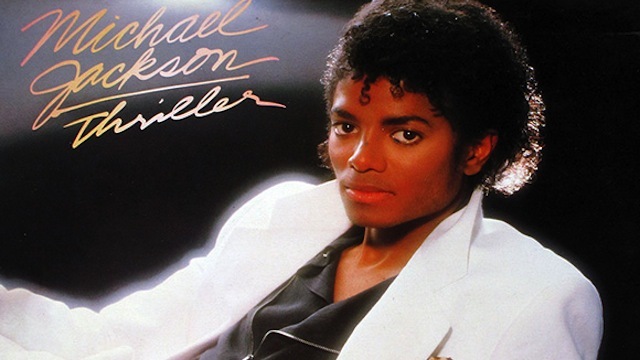 Also, R&B singer R Kelly's name came up for "Best R&B Album." 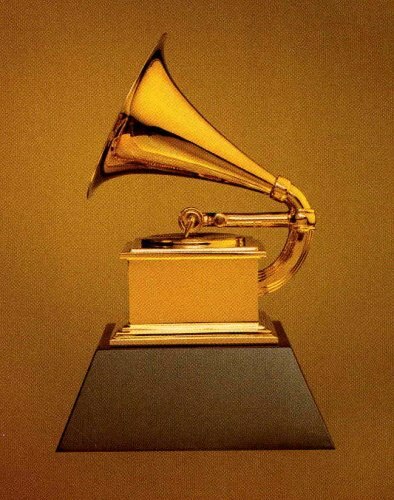 The Grammy Awards are scheduled to take place on Sunday, February 10, at the Staples Center in Los Angeles. Click here to view full list of all categories. Soundmaster T Scheduled To Hit World Star Hip Hop? Lookout ladies! Legendary producer Soundmaster T is gearing up to hit World Star Hip Hop with a new club banger! We hear he's planning to drop this new video sometime around early 2013, but its no indication of the track's title. 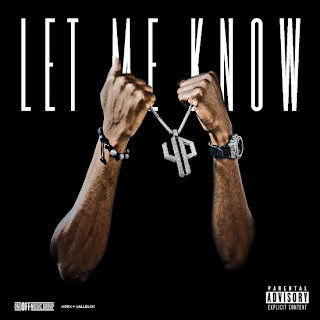 [New Music] YP "Let Me Know"
Coming straight from the streets of Chicago! 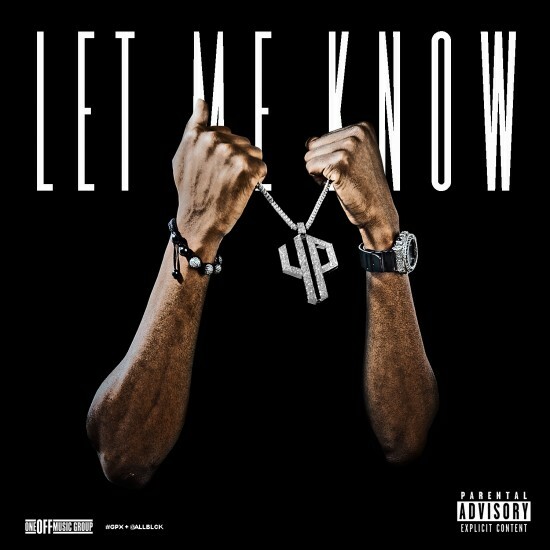 Its Rapper YP with a new hot joint called "Let Me Know" - produced by Xcel. We hear its scheduled to be on YP's upcoming untitled project, due out soon. Until then, listen to the track! If you are one of those people who keep up with the latest music these days, you should know artist from Chicago are really making major noise. And speaking of the Chi, Motown Records just released a new single from a up and coming artist from the City of Wind. 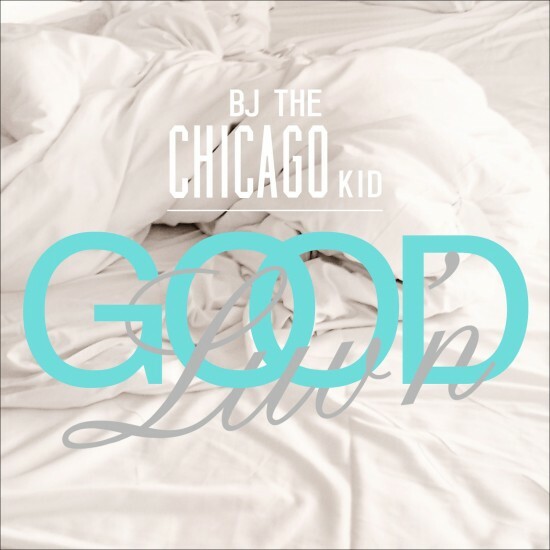 His name is BJ The Chicago Kid. The song is called "Good Luv'n" and its available now on iTunes and Amazon.com to purchase. According to our friends at Fake Shore Drive, a video for "Good Luv'n" should be coming out in a few weeks. Until then, listen to the track! 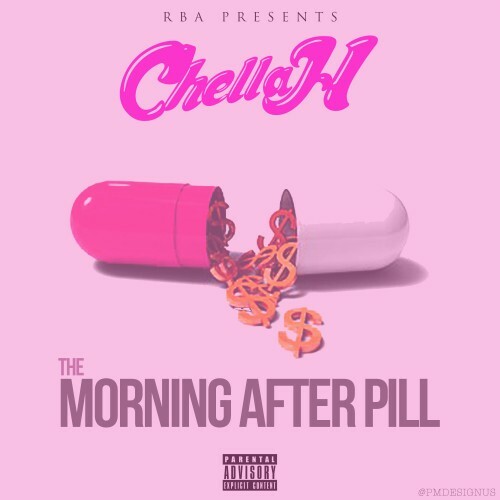 Just in time for the holidays, Rapper Chella H re-release her latest mixtape The Morning After Pill with new bonus tracks. On this mixtape, Chella hooks up with Chi-town's own Bump J for "What That Do" and she also hits us with a hot joint called "Love Chella." Its a new remix to Chief Keef's latest hit "Love Sosa." Its available now on iTunes. Click here to purchase. 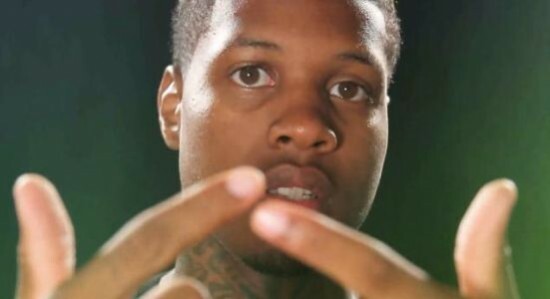 [New Music] Lil Durk feat. 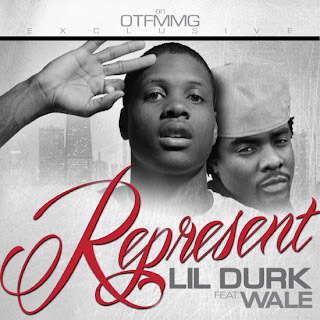 Wale "Represent"
From the Chi to D.C., the homie Lil Durk hooks up MMG's Rapper Wale for his new joint "Represent." Its produced by Beat Billionaire. According to our friends at Fake Shore Drive, this raw cut will probably end up on Durk's upcoming untitled project, but you may find it on Wale's new mixtape Floarin as well, which is due out later next month. Until then, listen to the track! [New Video] King L "Pack So Loud"
Don't get too close! You may catch a contact! 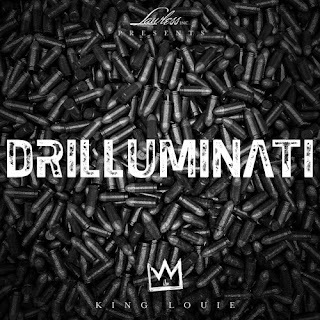 Its Chicago's King L with his new video! He calls this one "Pack So Loud." Its directed by AZae Productions, along with Young Chop on the beat. Drilluminati coming soon! Lookout ladies! We hear R&B singer Pierre is ready to release his hot remix to "You Got That (Boom Boom Sticky)!" According to our source, the song will make its debut on Windy City Underground J.R. Bang Morning Show later this week. The remix features Rapper Shawnna, along Legendary producer Soundmaster T on production. Follow @Pierrejw on Twitter for more details! Only one week away, Rapper Big Boi will drop his new solo album Vicious Lies & Dangerous Rumors on December 11. On last week, the rapper (best known for being 1/2 of Legendary Group "Outkast)" stopped in Chicago to promote this new project. Check out the footage right here, as he sits down and chops it up with our source (Ruby Hornet). 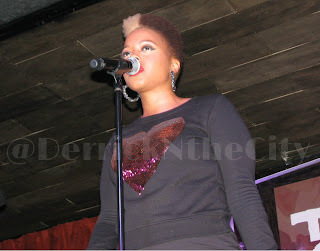 This week, in music, R&B singer Chrisette Michele is scheduled to release her long awaited mixtape Audrey Hepburn. According to Rap Radar, Its set to drop on December 8, but we hear she will have a special release in Chicago on December 7, along with celebrating her birthday at "The Shrine." Click here for more details. As far now, check out her new video "Can The Cool Be Loved?" featuring Dunson and Bilal. Its directed by Konee Rok. If you're one of those people, who stays on social media sites, I'm sure you may have ran across a photo that shows a young lady getting caught up, while sleeping. 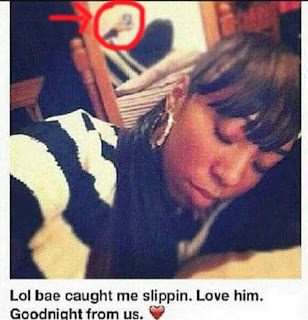 It reads, "Lol bae caught me slippin. Love him. Goodnight from us." 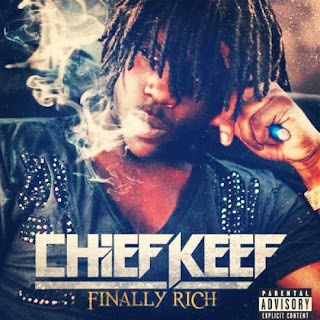 [New Video] Chief Keef "They Know"
Chief Keef, one of the most talked about names in music, is scheduled to drop his highly anticipated album Finally Rich on December 18, according to our friends at Fake Shore Drive. The album will feature names like Rick Ross, Young Jeezy, and more. So, while you're waiting on the album, check out his new video "They Know." Its directed by D Gainz and produced by 12Hunna. 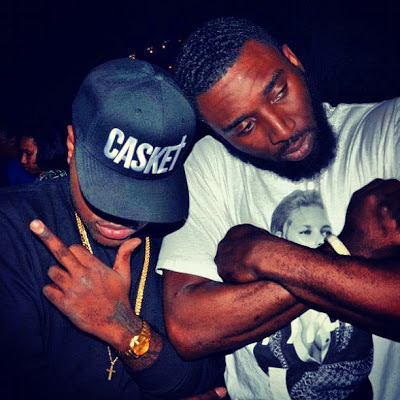 [New Video] King L "Val Venis"
Coming straight from the Windy City is another hot banger! Its from your boy King L and he calls this one "Val Venis!" The video is a great display of scenes that takes us through the streets of Chicago! Check it out! 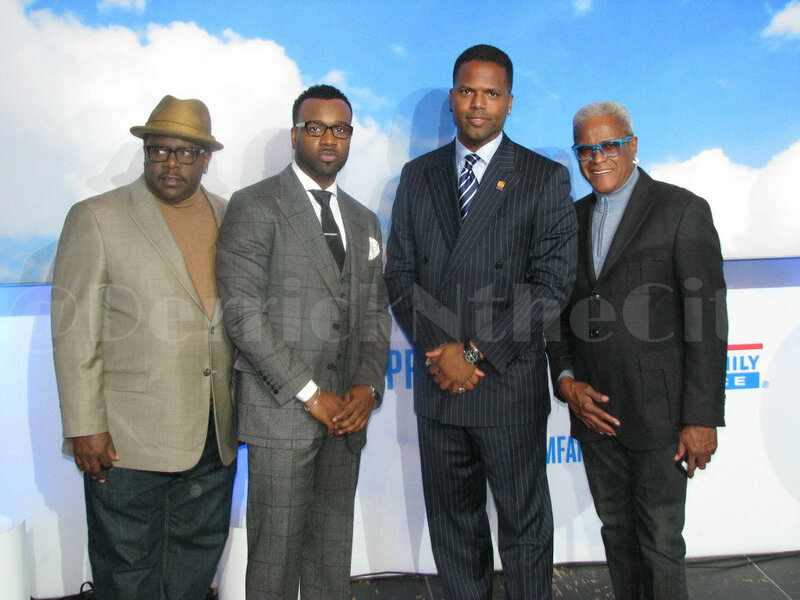 This past weekend, in the City of Chicago, some of the biggest names in entertainment stopped in town for a powerful afternoon of live discussing called Dreams Protected Tour. The event took place on the City's North Side and it was hosted by A.J. Calloway from NBC's Extra. Throughout the event, Calloway sat down one-on-one with well known celebrities as they shared their success story with a friendly live audience. They spoke on everything from marketing and branding to educating singers about music. They even gave helpful business tips to aspiring and future entrepreneurs. Celebrity names included: Business Mogul Lisa Price, Gospel recording artist VaShawn Mitchell, Comedian Cedric The Entertainer, and Chicago icon and legend George Daniels. If you would like to know more about this event and to see what city they're hitting next, click here for details. 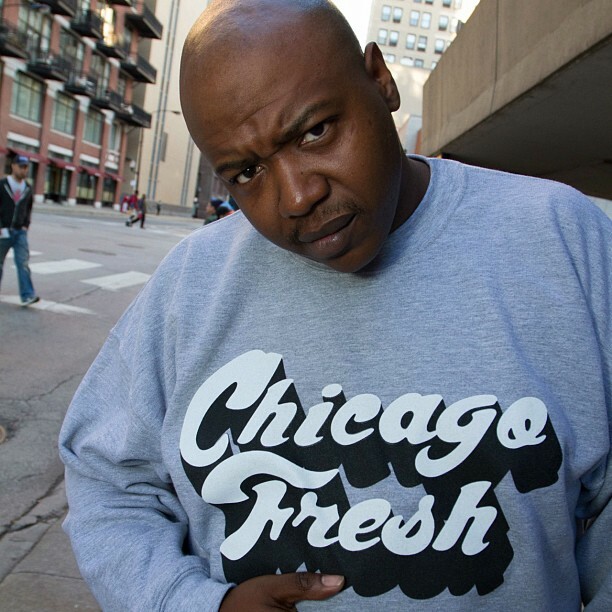 [New Video] Twista "I Ain't Wired Right"
Chi-town put your C's Up! Ya boy Twista is back with another hot one! The video is called "I Ain't Wired Right" and its straight off his new mixtape Reloaded with Don Cannon... Its directed by Chicago's own Alvin Elmore. In this video, Twista shows off some great special effects as he takes us on a futuristic ride throughout the galaxy... Check it out! Big Jam just got 'Bigger!' 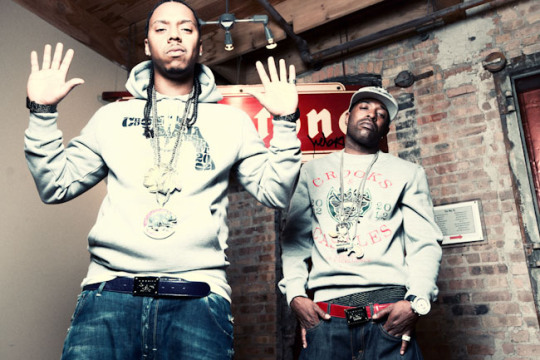 We just learned from our friends at WGCI, Rapper Rick Ross and Wale of Maybach Music will perform at this year's Big Jam 2012! The event is scheduled for Friday November 16, and its taking place at the Allstate Arena! Also, we hear R&B singer Usher Raymond will make a cameo appearance along with other acts like Fat Joe, Future, Keyshia Cole, Kelly Rowland and the rest to be announced! For more information, click here for details! On last night (October 21), R&B singer K. Michelle, from Love & Hip Hop Atlanta, stopped in the City of Chicago for a one night performance. The event took place at Alhambra Palace and the night was off the chain! On last night (October 18), some of the sexiest ladies in Chicago stepped out in their leggings, skirts, and heels to get up close and personal with one of R&B's biggest stars – Bobby V.
This intimate jam session took place in the City’s West Loop at a local nightclub called Red Kiva. It was hosted by WGCI's own DJ Dimepiece along with the help of DJ 33 1/3 and DJ Moondawg! This past week, in Chicago, Reality TV star Malaysia Pargo of Basketball Wives LA stopped by 107.5 WGCI to talk with the Morning Riot!